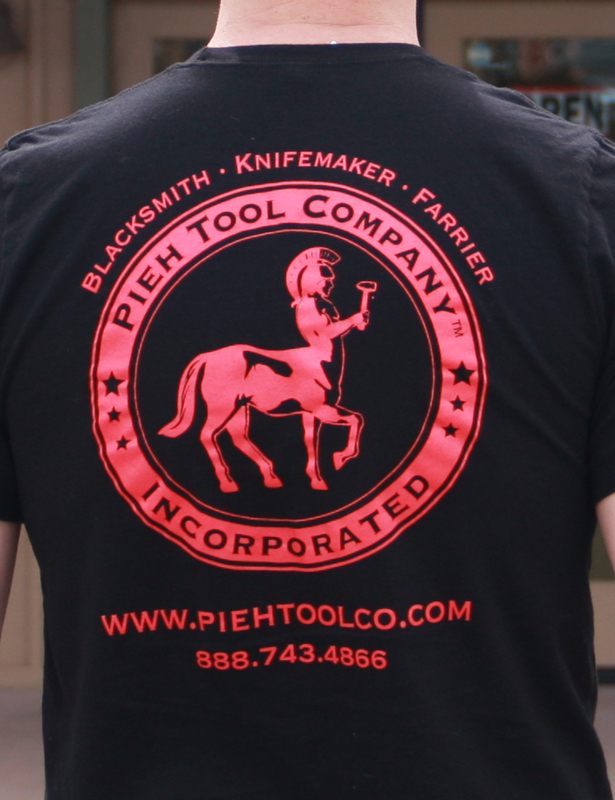 Our new Logo T-shirts run true to size with minimal shrinkage. This is a very comfortable shirt! We expect you will be 100% satisfied! 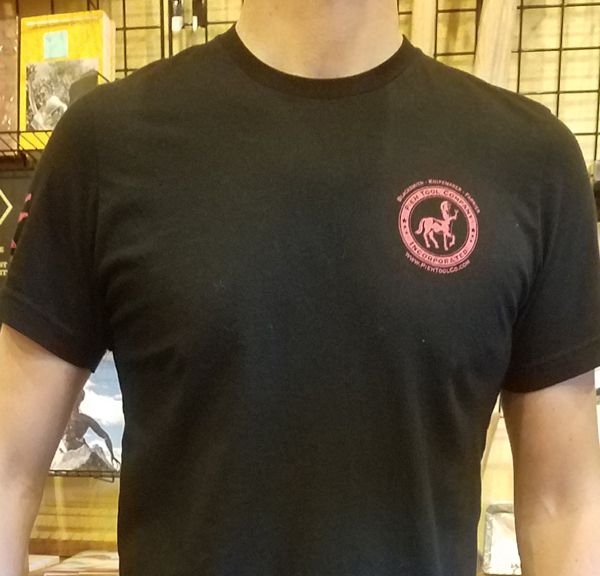 The Men's Black Logo T-shirt's are silk screened with our red logo on the left front and full size on the back. 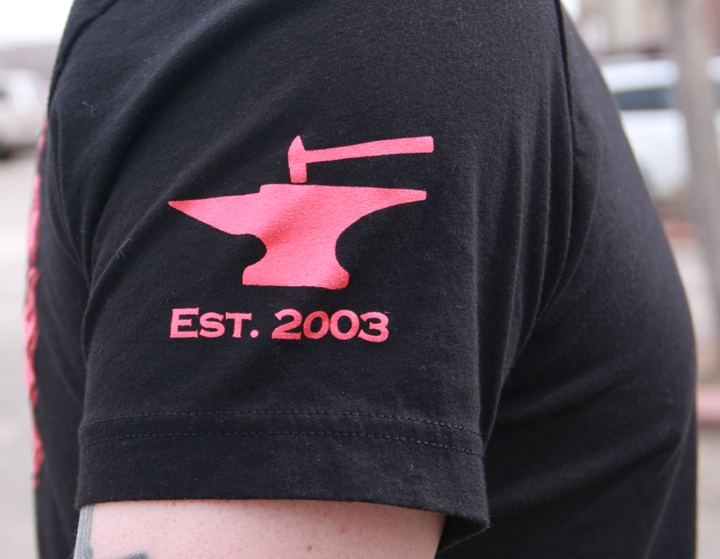 The right sleeve is also silk screened with a hammer, anvil and our year established date. Shirts do not have a front pocket. Makes a great birthday or any time present!